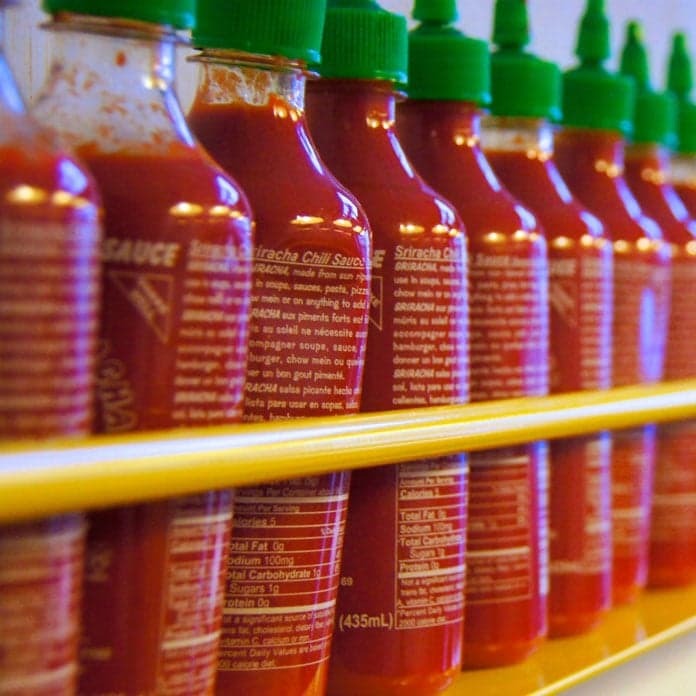 Most recently, the sauce has made an appearance in Vietnam, where Tran is originally from. The sauce hit the stand last April and has sold 57,000 bottles in one store alone. A 17-ounce bottle sells for five dollars in America and only 2 dollars in Vietnam, making it an affordable additive to many traditional dishes. The low prices help account for the hefty revenue of 60 million dollars it accumulated in 2014. With this explosion of flavor and sales, the production of 20 million bottles a year has caused quite a bit of flack within many communities. Recently, people who reside by factories have begun to complain of burning eyes, asthma and headaches. A lawsuit was filed to halt the production of the product until some safety precautions could be implemented. This caused prices to rise and restaurants to stock up on the product. The lawsuit has since been dropped and the prices have been restored to “a rich man’s sauce at a poor man’s price” as the motto of the company states. Starting out of the back of a truck nearly 30 years ago, Huy Fong Foods has reached over 40 countries with 3 different variations of the sauce. All of the sauces produced by the company are produced in the US helping raise exports and adding to the country's economic growth.